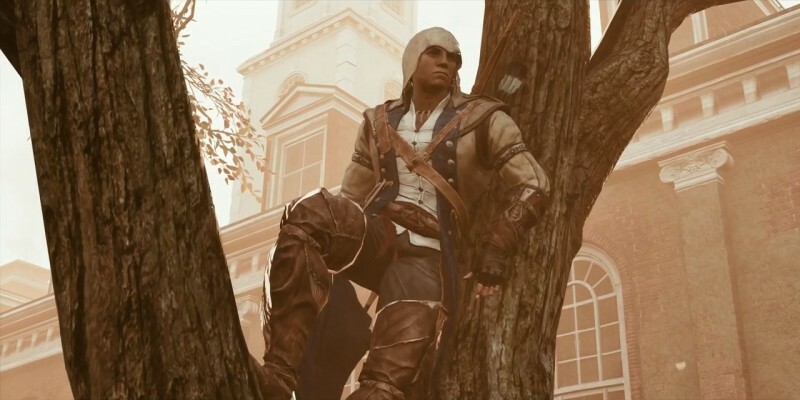 With the recent release of the Assassin Creed III remaster, Ubisoft may not want people buying the original version of the game, and it looks like that un-remastered version has been removed from both Steam and Uplay, with some odd exceptions. Currently, the Steam page for the game lists a notice: "At the request of the publisher, Assassin’s Creed III is no longer available for sale on Steam." Only the remaster is available, for $39.99 (the original was selling for $19.99 as of earlier this week and had recently been on sale for $4.99, according to stat-tracking site SteamDB). Those who already own the game on Steam are reporting being able to re-download the game. However, those who own a Uplay copy may be out of luck; the game isn't listed on Ubisoft's client at all. And anecdotally speaking, I attempted to download the Uplay copy I owned, only to be redirected to the Steam page, and since I don't own the Steam version, I can no longer download my version of the game. However, it looks like the game is still available for purchase on Ubisoft's web store (I wouldn't necessarily recommend buying it at this point, however, considering the issue I personally have downloading my Uplay copy). Strangely enough, Assassin's Creed Liberation HD, the remaster of which is included with the standard edition of the Assassin's Creed III Remastered, is still available on Steam, but not on Uplay outside of the remaster. We've reached out to Ubisoft for comment, and will update this story should they reply. Other recent de-listings of games include Deus Ex: Human Revolution and Sleeping dogs, though in those cases the original versions were replaced by the director's and definitive editions, respectively. 2014's Driveclub is also being de-listed this coming August. While I can see the logic behind the move (why confuse customers with two versions of the same game on the same storefront? ), that doesn't mean this doesn't irk me. Some people would prefer to see the game as it was during its time, and not just the prettied up version of it. Those people no longer have a choice, and have to pay an additional $10 to play a game they might have been thinking about playing but hadn't purchased. The inconsistency of availability between it and Liberation could point to this being an error, but the whole "At the request of the publisher" statement makes me think the error was not taking down everything else.